Life is about love and love is meant to be shared. Sharing is love and Kindness and Generosity is the sacred act to transform lives. We are very grateful to one and all for making big sacrifices in serving loving and caring our DSWC institution build on love and service. Workshop by fire brigade officer, emergency no. 101 Mob no. 9304953429.An awareness program was conducted by the fire brigade officer on 14th of April, 2018 in our school campus. The members name are as follow:- Sudhir Kr. Verma (ADFO), Shailendra Kishore ( Fire Station Officer), Amrit Lal Bhaskar, Vijay Yadav and Vijay Dubey. Sudhir Kr. Verma has demonstrated the brief process about their activity which is done on daily basis and at the time of emergency. He explained the value & service of fire-brigade. At the end students and teachers asked him the important & tricky questions fir which he calmly & nicely answered all the queries. 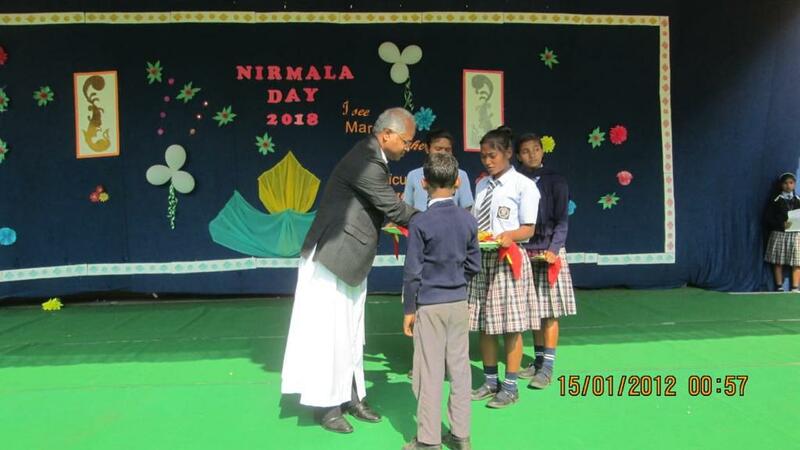 The drawing and painting competition was held on 21st of April, 2018 in the school premises. 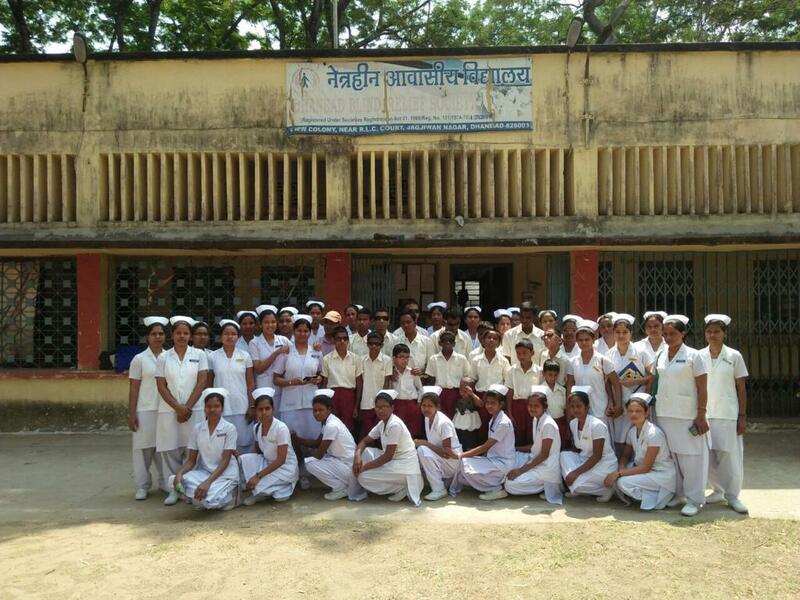 The students were divided into four groups:- Senior, Inter, Junior and Sub Junior. 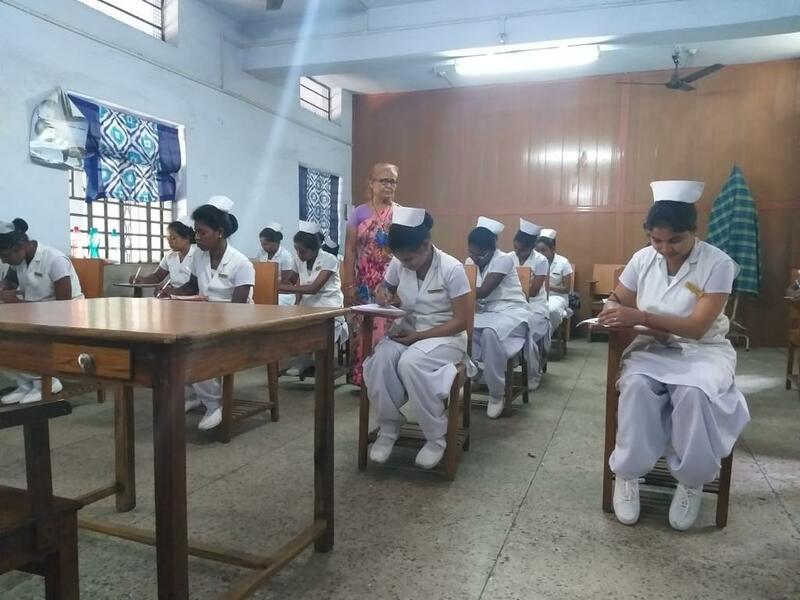 There were 32 students who were taking part in this competition, but many students were interested to take part. So the total number of participants were 59. Dictation and calligraphy competition that was held on 15th May 2018. 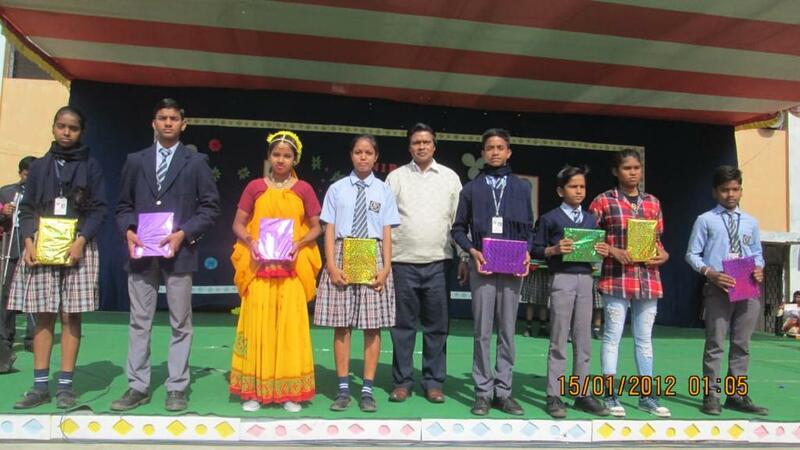 There was a competition between the four houses prem, satya, shanty & joyoti. The students were divided into four group: subjunior, junior, inter, and senior. For the dictation students were given a few spelling and few sentences and for senior, and inter a paragraph was given. In the calligraphy students had to copy a paragraph from their test book within the given time. As whole world is celebrating this day, in our school also we have celebrated this day with great enthusiasm. This is organized by our school health club. They did few yoga exercise such as:- Siddhasan, Paschiniotasan, Sarwangasan, Mayurasan, Bhugangasan, Dhanurasan, Trikonasan, Vrajasan, Suray namaskar & Anulom Bilom. After completing few yoga instructions was given by the teacher to the students that every day practice makes or keeps us healthy. Then all the students had gone to their class room. On 23rd of June for us it was a joyful and painful both day because in our school premises our new director of D.S.W.C Fr. 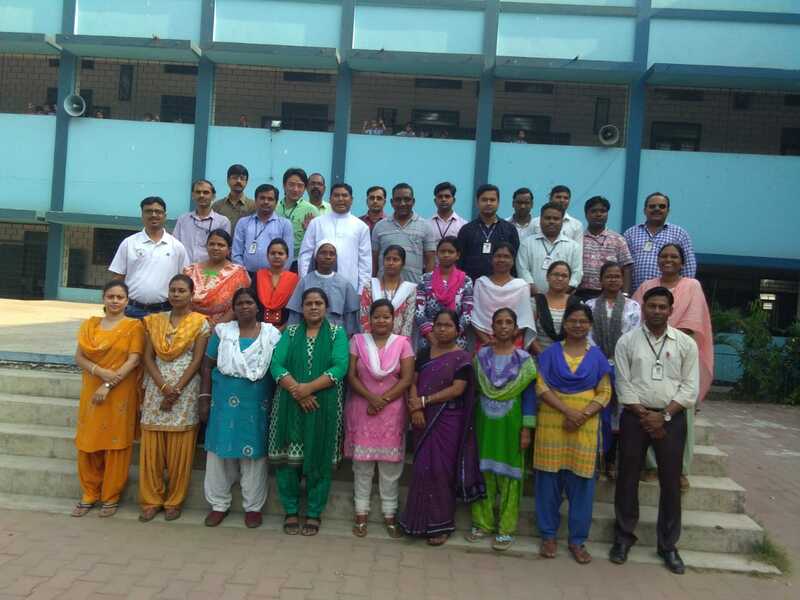 Ajay Tiru and vice principal Sr. Marcella reached and taken charge. 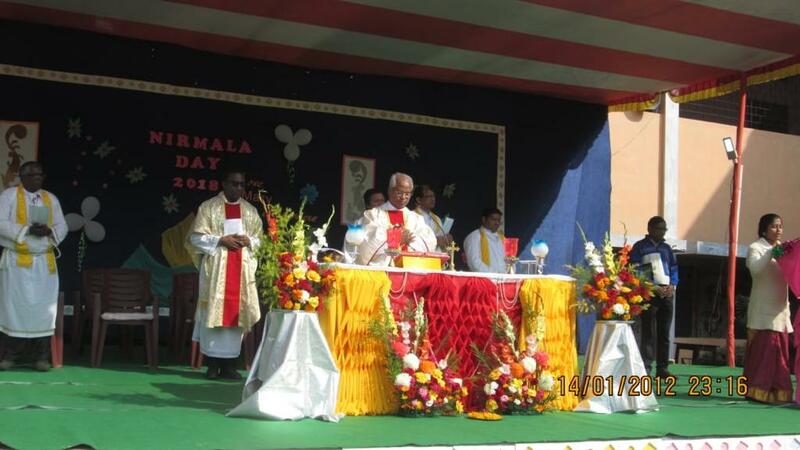 We welcomed them on that day, and painful was that our previous director Fr. 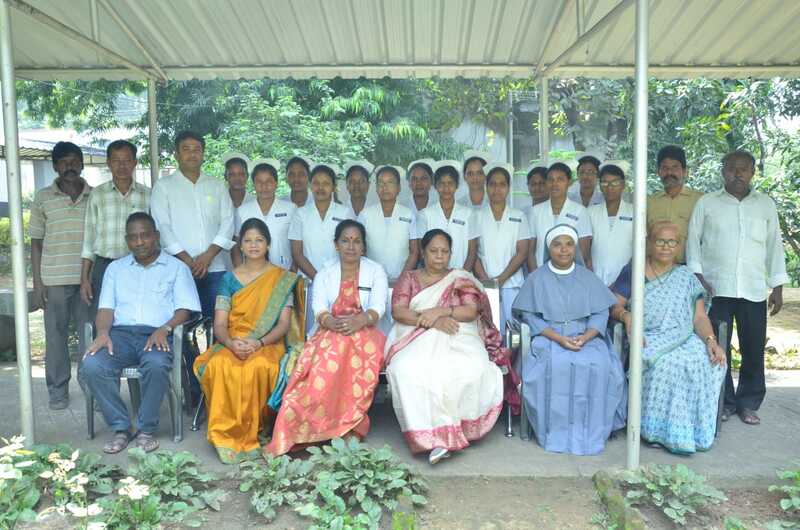 Bipin Pani and vice principal Sr. Vandana along with Sr. Servia ( superior), Sr. Mary Jacob, and Sr. Rosmy they all have been transferred from here to another place. Singing competition was held on 7th of July 2018. The competition was held according to the house wise. Four houses were there satya, shanti, jyoti, and prem. Three judges come to judge the competition. 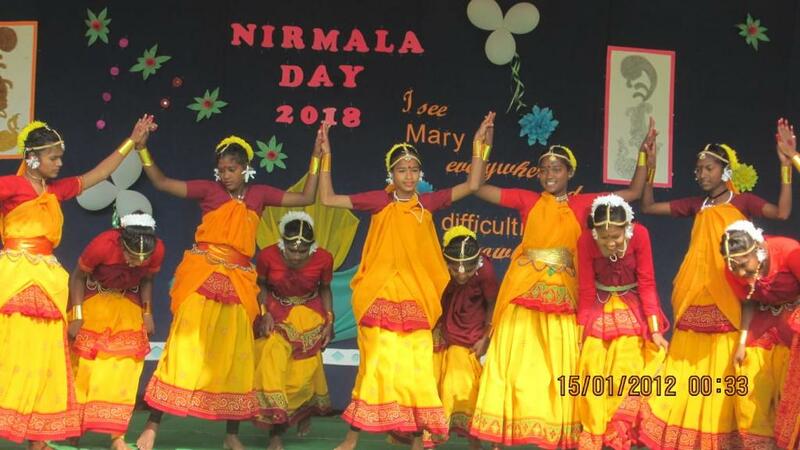 Sr. Nirmala, Br. Ishabela and Sir Munnilal. 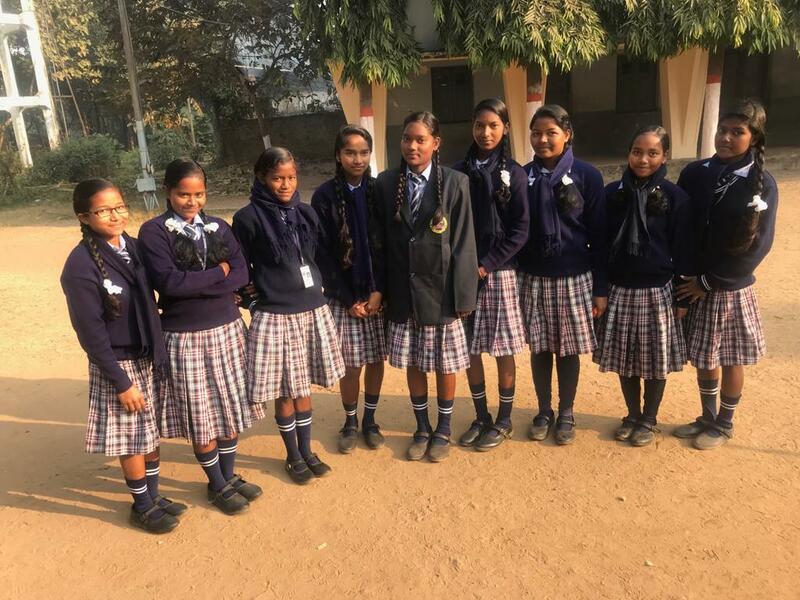 The speech competition was on 15th May 2018. But due to some reason it was cancelled and was held on 14th of July 2018. The competition was in English and Hindi. It was divided into three groups Junior, Inter and Senior. From each group two children have participated. Three judges were invited to judge the competition. Fr. Pascal Minz, Manish Kumar and Praween Kr. Ambastha. The inter house debate competition was held on 28th of July 2018. For this competition students were categorized into three groups. On the basis of lottery done in the staff room among houses teachers. The students got the chance of “speaking against” and “for” the motion. English – Mobile phones are good or bad? English – Advantage and disadvantages of coaching classes. All the groups exhibited great oratorical skill. They put in tremendous hard work to show case their hidden talent. From this competition students came to learn many things such as how to present, how to start and to end the topic in debate completion. 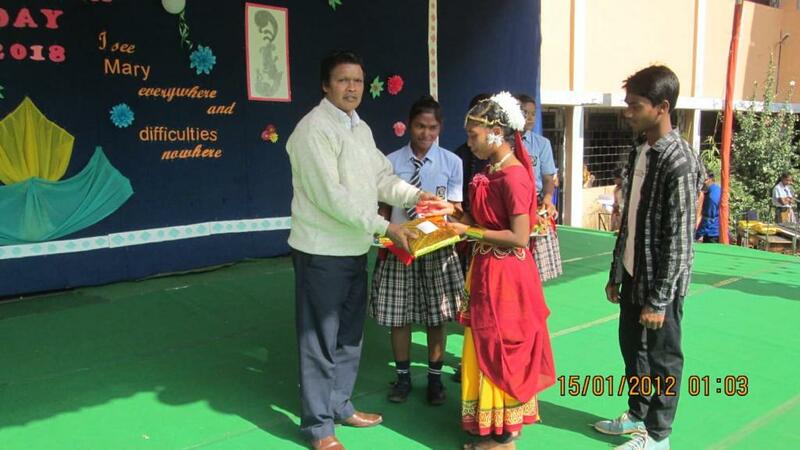 The “Best out of waste and Rakhi making” competition was organized in the school premises. It was held on 25th August 2018. Best out of waste and rakhi making are an enjoyable craft that children can be engaged in this type of activity and offer them a platform to show their talent and skills. It was categorized into four groups: Senior, Inter, Junior and Sub Junior. Six Students in each group had participated in this way. The total no. 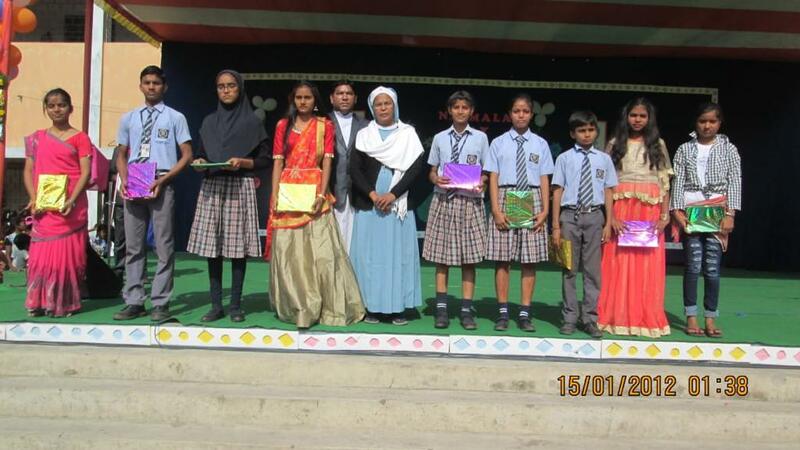 of students participated in this competition from each houses were twenty four. Total numbers of participants were ninety six. Every students showed their talent and created a variety of materials like pista shells, flower pot, pen stand, dholak, table, dice, almirah, mobile stand, flower etc. things made by the children were appreciated by everyone. 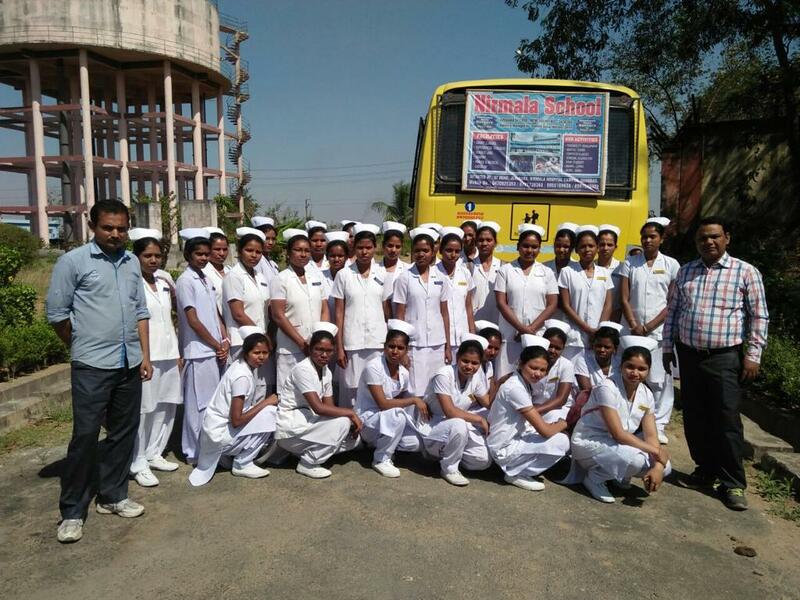 The 2nd year nursing students began their Internship training at various private hospitals. 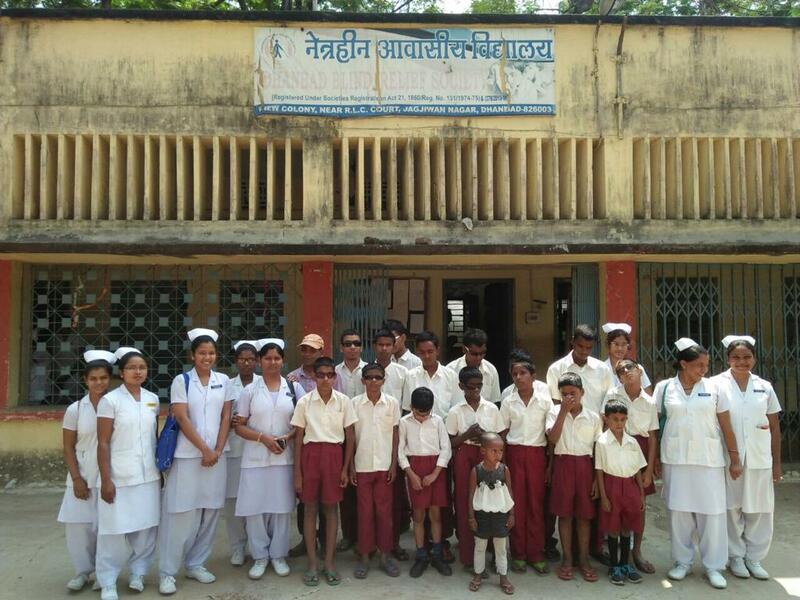 Bahamani Jojo and Philomina Hembrom were sent to Dhori Mata Samaritan Seva Kendra, Jarandih Bokaro from 25th April to 29th September. 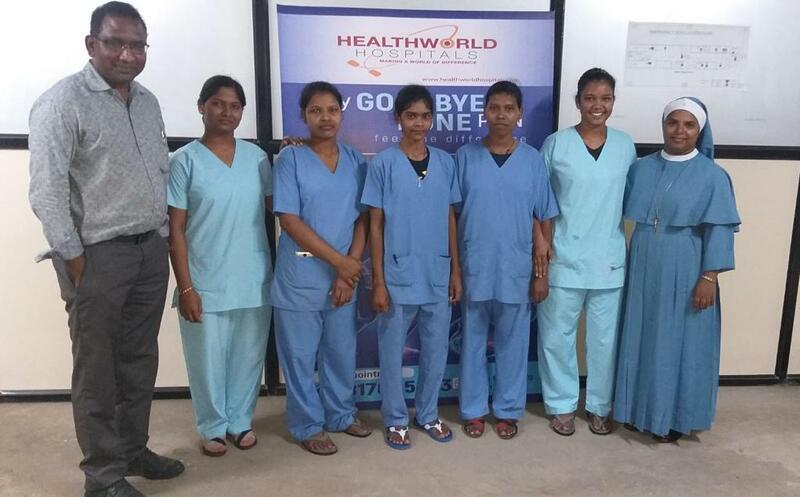 Asha Khalko, Bindiya Soren, Lalita Murmu, Sabita Murmu and Tanushri Chakarvati were sent to Health World Hospital, Durgapur from 27th April to 29th September. 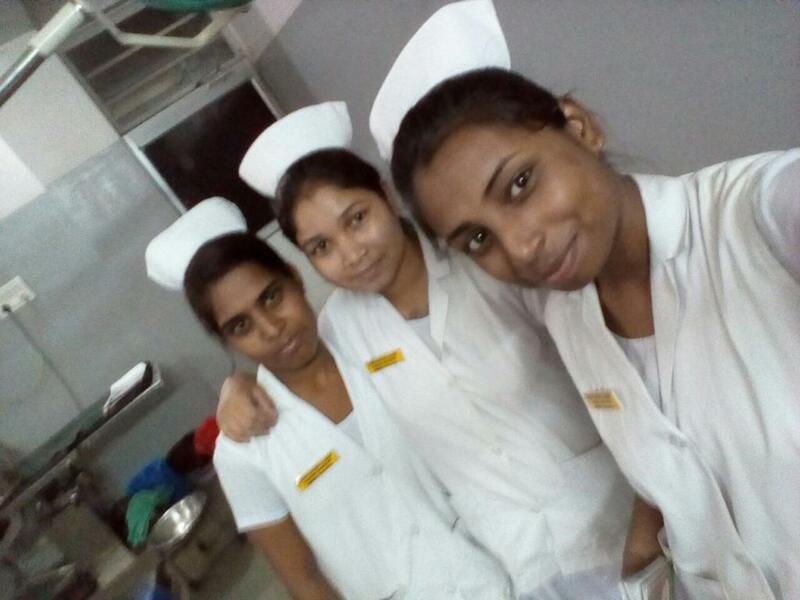 Aarti Murmu, Priyanka Soren, Ruby Kumari, Sanju Kumari and Sulochana Hembrom were sent to Sahayog Hospital, Giridih from 29th April to 29th September. 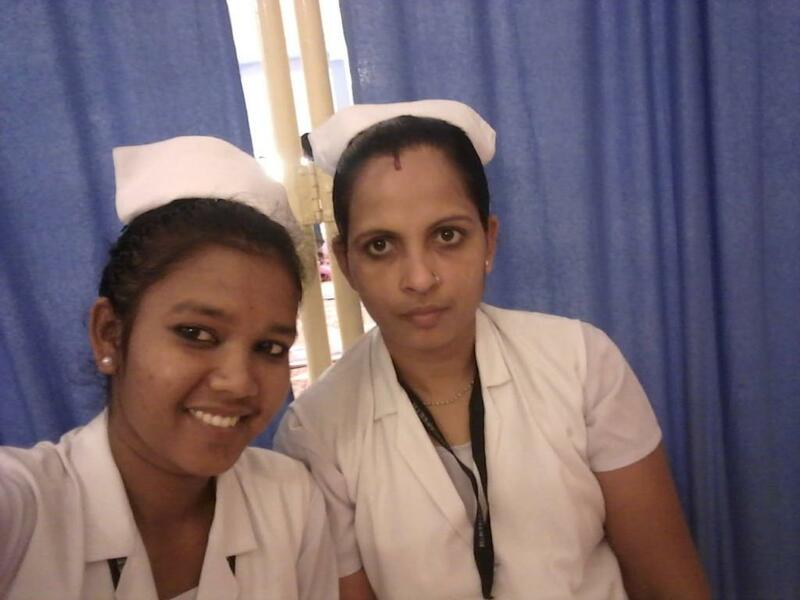 Binita Kullu and Pritilata Hembrom were sent to Catholic Mission Hospital, Bargarh from 9th May to 29th September. Welcome back and Congratulation for successfully completing your Internship. The 2nd year and the 1st students recently wrote their exam in the month of November. 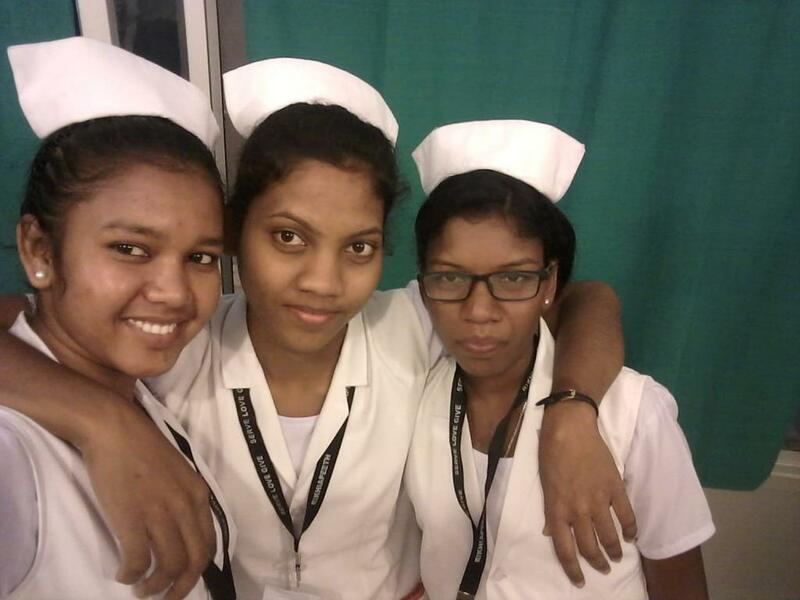 The 2nd year students were given farewell on 29th of November. 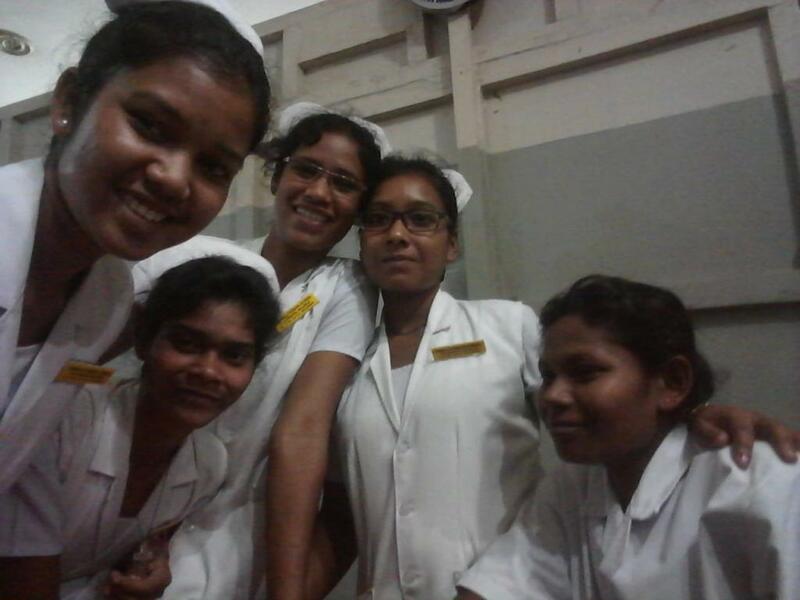 There is a success story about one young girl who came to Nirmala General and Leprosy Hospital at the eleventh hour. She came with a great hope of getting cured from her extreme deformities cases. She was unable to open her right eyes due to deformities formed around her right eyes. After her surgery she regained her look and dignity. She also came with deformities developed on both the hands claws; unable to open or close her hands. But now after her surgery her claws have become normal. She also had the problem with her Foot drop. She could not get married due to the deformities in eyes, hands’ claws and foot drop complications. She was affected by a clear sign of leprosy. In her story she mentioned that at her early stages of her life white patches developed on her backs. She told her family about it but they ignored to take any action. Slowly, when her patches grew larger then she was taken to the nearby hospital. By that time of treatment, the deformities started developing on her right hands, foot and the right eyes. She underwent treatment for six months without showing any symptoms of improvement. 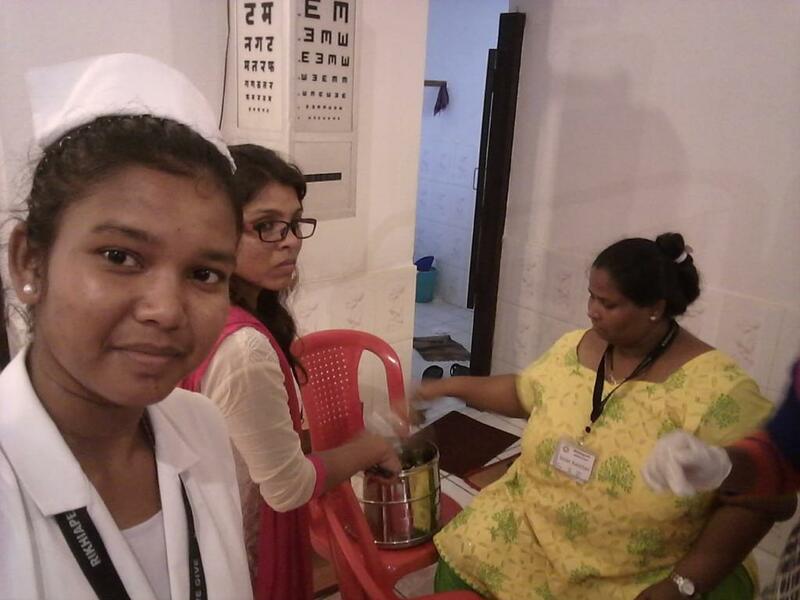 Ultimately, she was brought to Nirmala General and Leprosy for further treatment and got admitted and underwent RCS. Twice she underwent RCS at Nirmala for her eyes and hands. Now she is living a very joyful life with her friends and family members. The result of Academic Session Aug 2017 -19 Semester 2 came up with a flying color. Congratulation! to all trainees for the Trade, Fitter and Electrician. All the 12 trainees passed the exam with the percentage between 76% to 81. 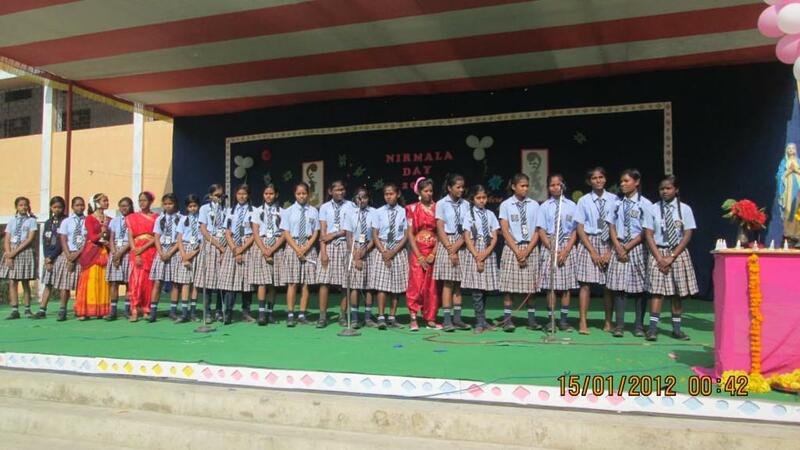 Damien Vocational Training Centre at Kaladih More, Govindpur a unit of Damien Social Welfare Centre, participated in the Annual Sports Day, event of Nirmala School, held on the 24th of November 2018. Rev. Fr. Nicholas Kerketta accepted to be the Guest of honor and inaugurated the annual meet. The Honorable Chief Guest, Mr. Arup Chatterji, M.L.A appreciated all the students who participated in the Annual Sports. His supports towards the DSWC are admirable. He is ever ready to donate his time, talents and treasure for the growth of Damien Social Welfare Centre. The ITI students participated in the 800 meter race. Julian Toppo took the 1st prize, Nishant Giri took the 2nd and Sujit Lakra took the 3rd prize. The principal, Mr. Praveen was present along with his staff : Salman Ansari, Pradeep, VIshwanath and Shiva Mahto.